Home » Website Building » WordPress » How to Change WordPress Admin Username? 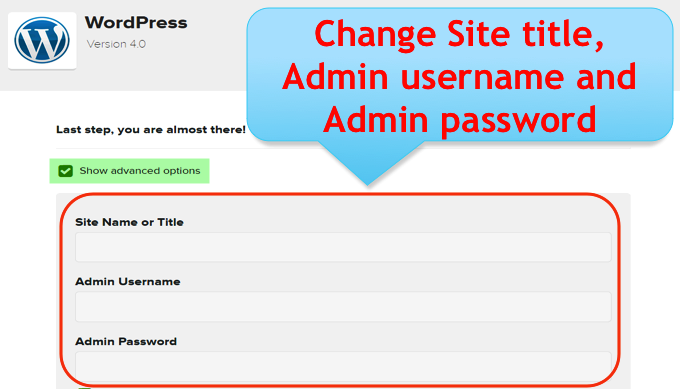 There may be lot of reasons you want to change the admin username of your WordPress installation. Especially when you install WordPress through hosting company’s one click installation method (for example, SimpleScripts installation in Bluehost) the username will be taken from your hosting account login unless you notice and change it before installation. Some users may also provide usernames like “admin”, “administrator”, “moderator” etc., which are very easy to hack and then want to change it from the dashboard. But WordPress does not allow changing the username through dashboard front end once installed. Here are some ways to change WordPress username in case you want to change your admin username for any reason. 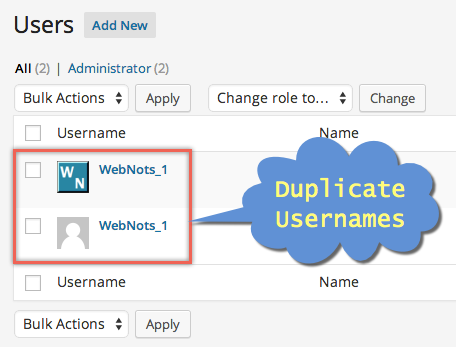 The simple way is to install a “Username Changer” plugin from WordPress plugins repository. This plugin will create s shortcut under “Users > Username Changer” and navigate to that section. Choose your current username from the drop-down and enter the correct new username. Login to your admin dashboard with the new username. If you provide an existing username by mistake, the plugin will show you an error message like below thus taking care of duplication of admin ids. FTP or File Manager access in your hosting cPanel. Login to your hosting account and navigate to “File Manager” option under cPanel. Open “File Manager” and locate “wp-config.php” file available in your root WordPress installation. 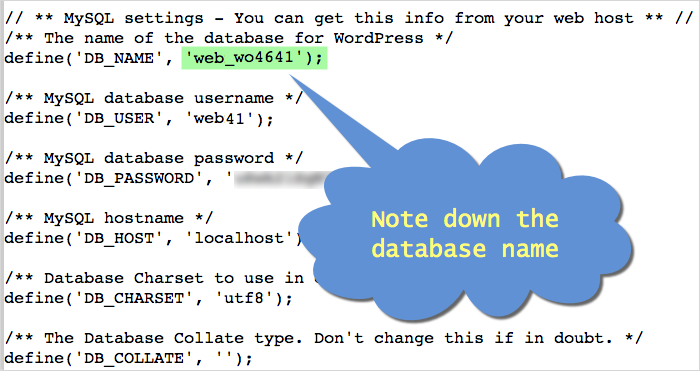 Open “wp-config.php” file and note down the name of your database. Checkout the article on how to view and edit “wp-config.php” file for more information. 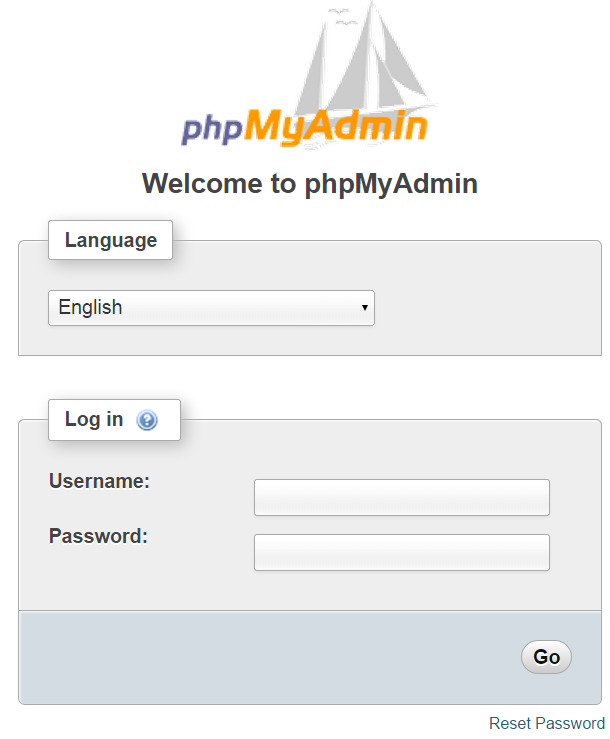 Enter your username and password to login to phpMyAdmin. Under “Databases” tab click on the database name which you have noted down from your “wp-config.php” file. Select the “*_users” table and click on “Edit” as shown in the picture below. Prefix of the “_users” table may vary based on the data you provided during WordPress installation process. One click installation through hosting companies may add additional prefixes like “wp_abcd_users”. The column ID “user_login” is the WordPress admin username and change it to the new value as required. Hit the “Go” button on the bottom to save your changes. What is the Impact of Username Change? It is not sure why username change is not enabled in the wordpress.org admin dashboard while the same option is enabled for wordpress.com users. Login id will be your new username. Related author name in all posts and author archives will be changed with the new username. Ensure to use unique username to avoid another admin user id is used. Modifying database will not check the duplication and result in affecting other admin id in multi admin user environment. You can just change the display name without changing the actual login name under “User > Your Profile > Display name publicly as”.